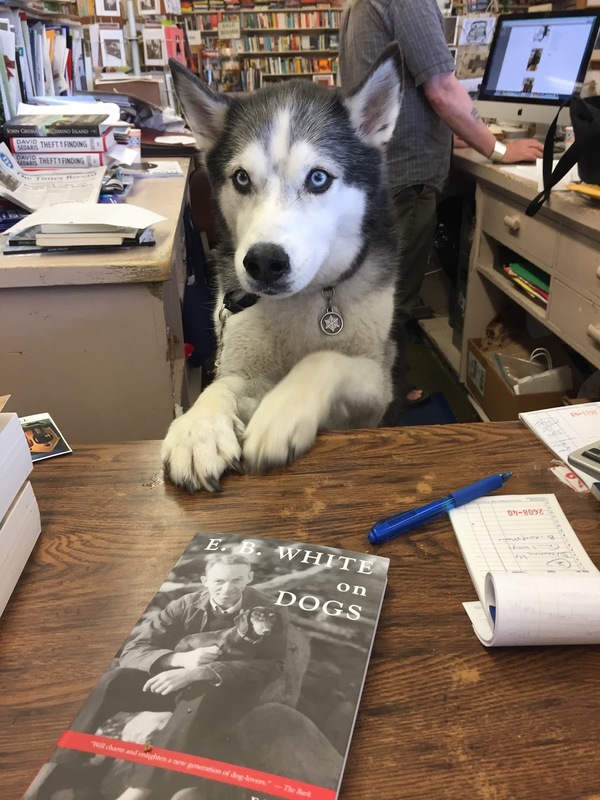 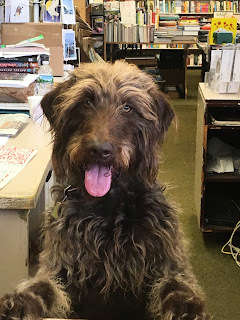 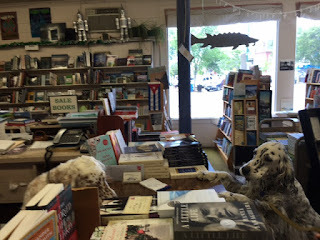 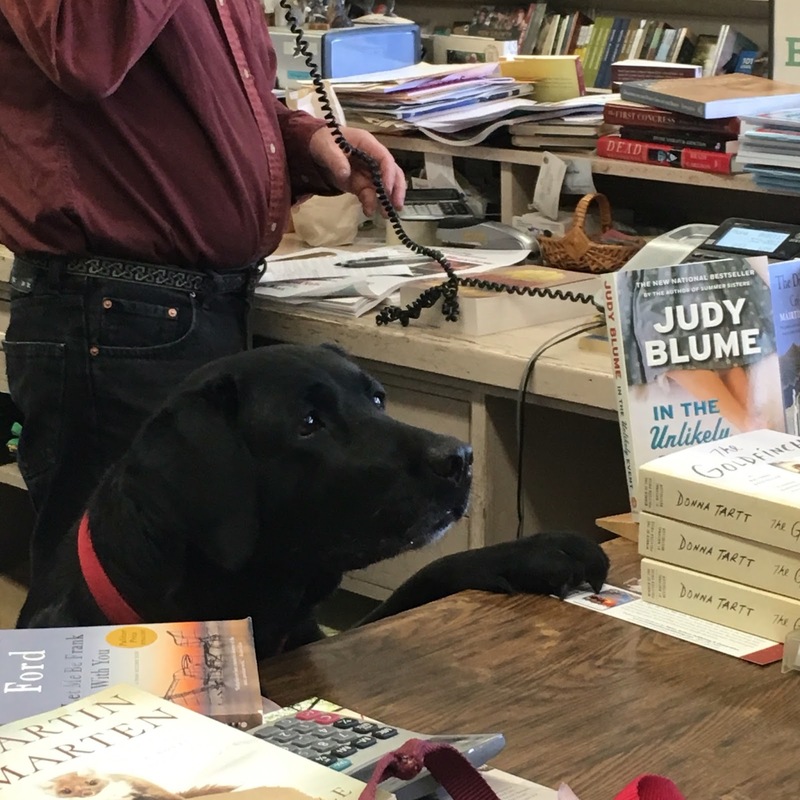 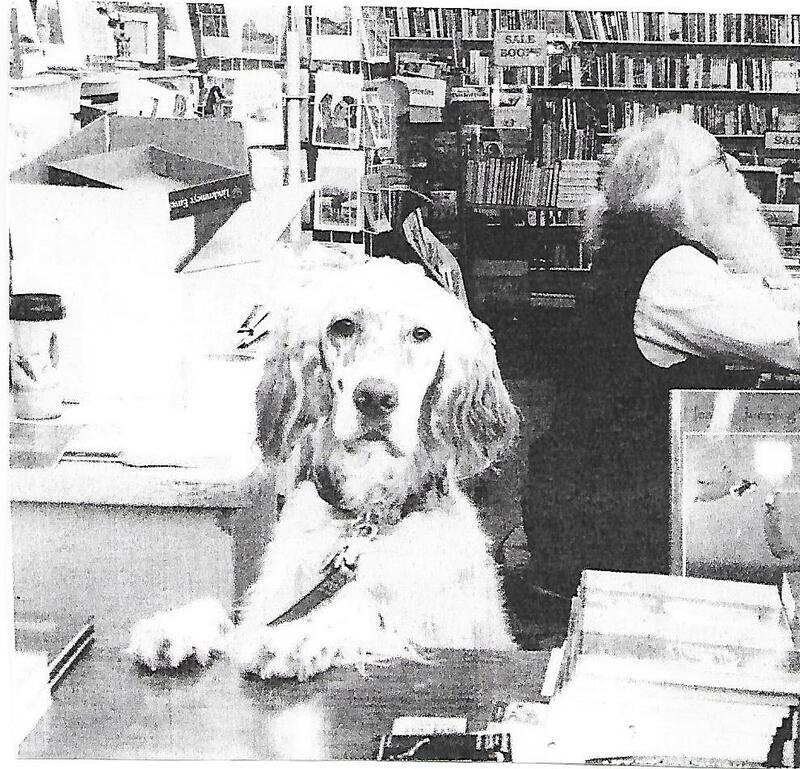 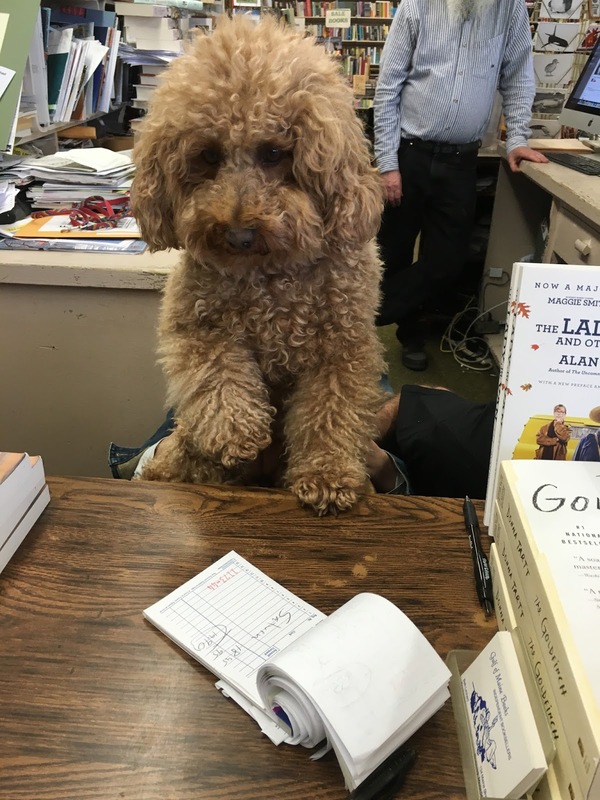 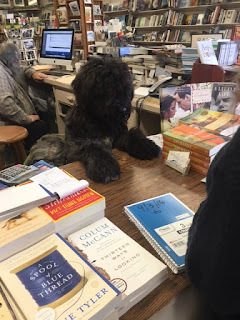 Gulf of Maine Bookstore has added extra help for the Holiday Season! 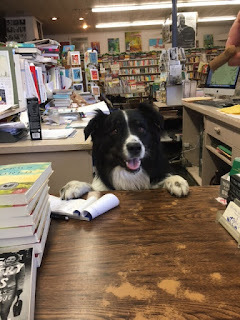 Bridie says "How can I help?" 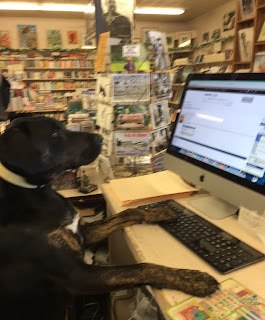 Bella is ready to help as well. 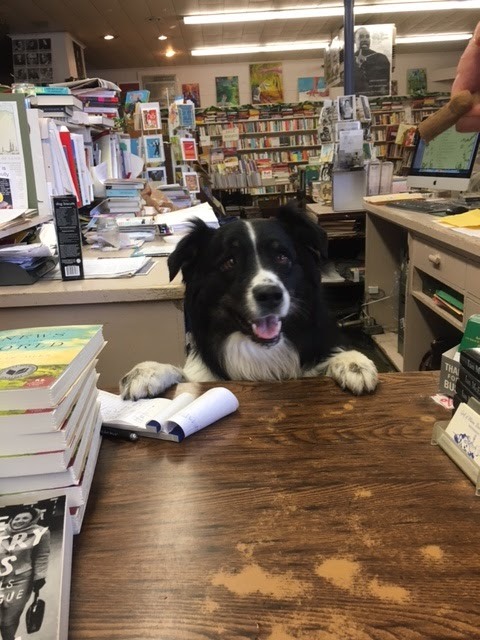 Syd is very happy to see you! 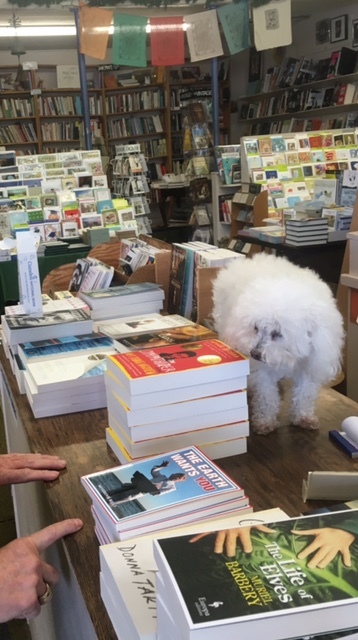 Vito is reading EB White on Dogs! Raffi is selling Dahlov Ipcar books! Redd is our computer expert! Korra is interested in just about anything! 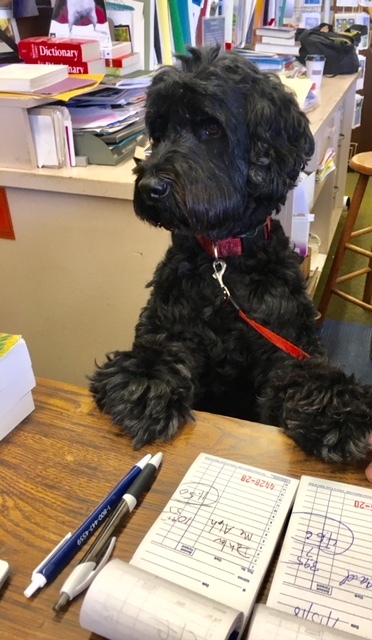 Scarlett is ready to write up your sale! 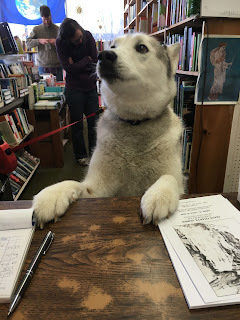 Noya wants to know "Who moved the biscuits?" 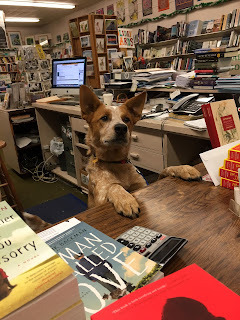 Beckett has several recommendations for you to choose from! 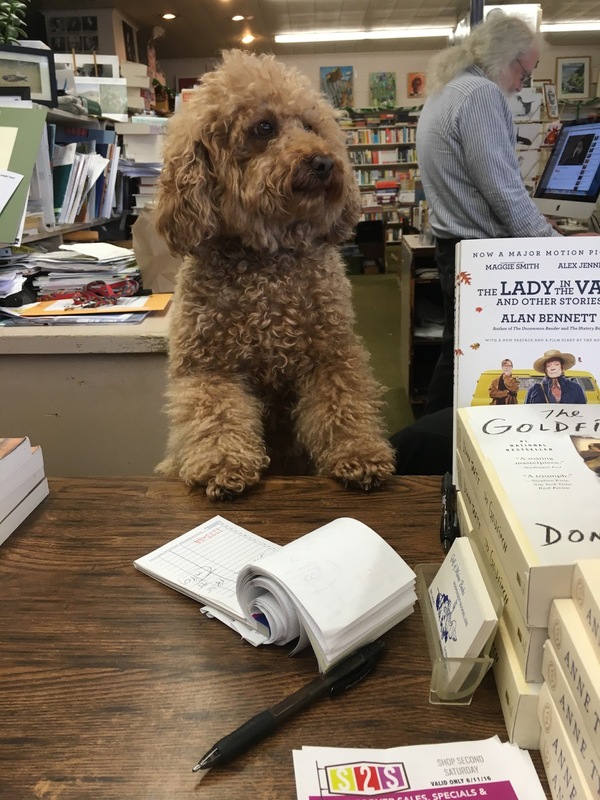 Mona just can't wait to tell you about Justice Ginsburg! Scarlett thanks you for coming, and hopes that you will visit again!